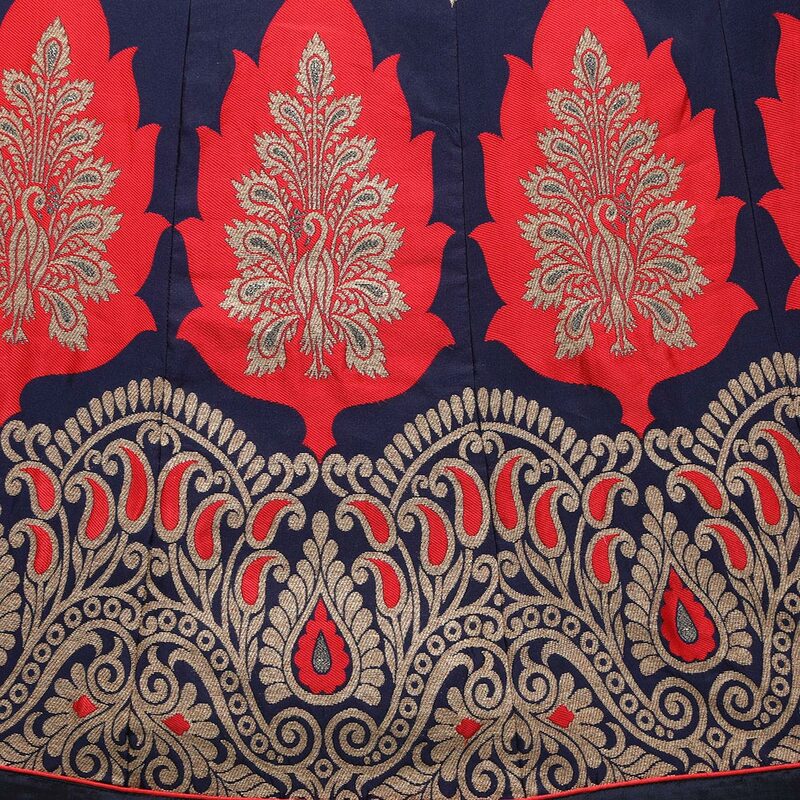 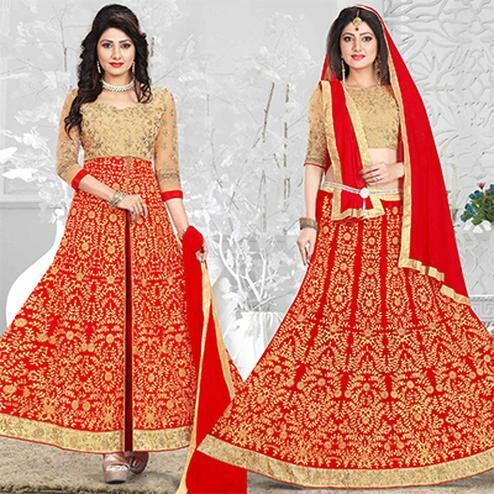 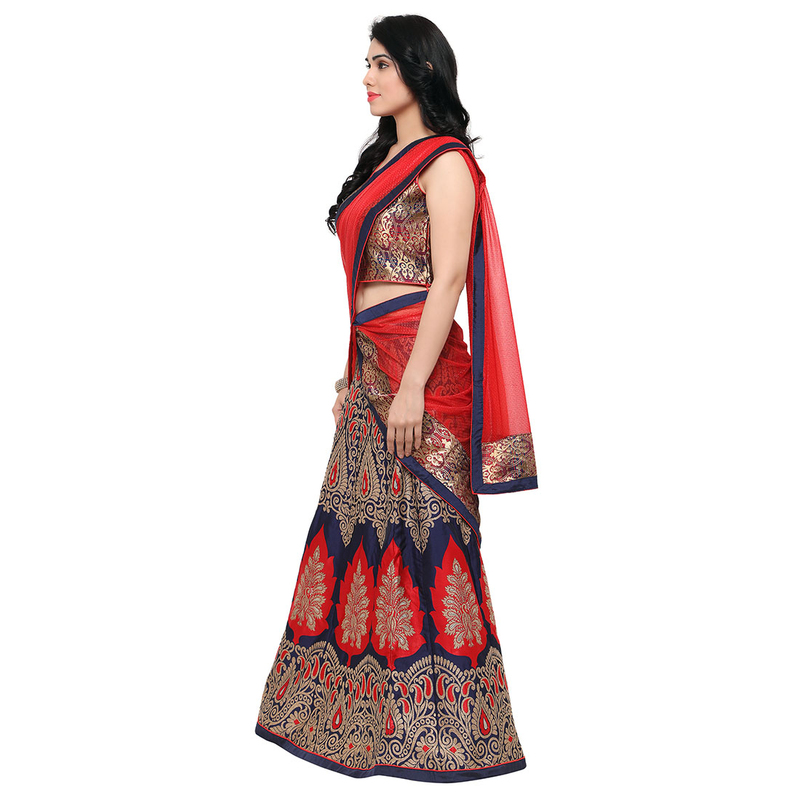 This blue - red unstitched lehenga choli features taffeta jacquard lehenga having traditional paisley and big peacock design patterns in jacquard work, traditional design jacquard work choli and lycra self design lace border work dupatta. 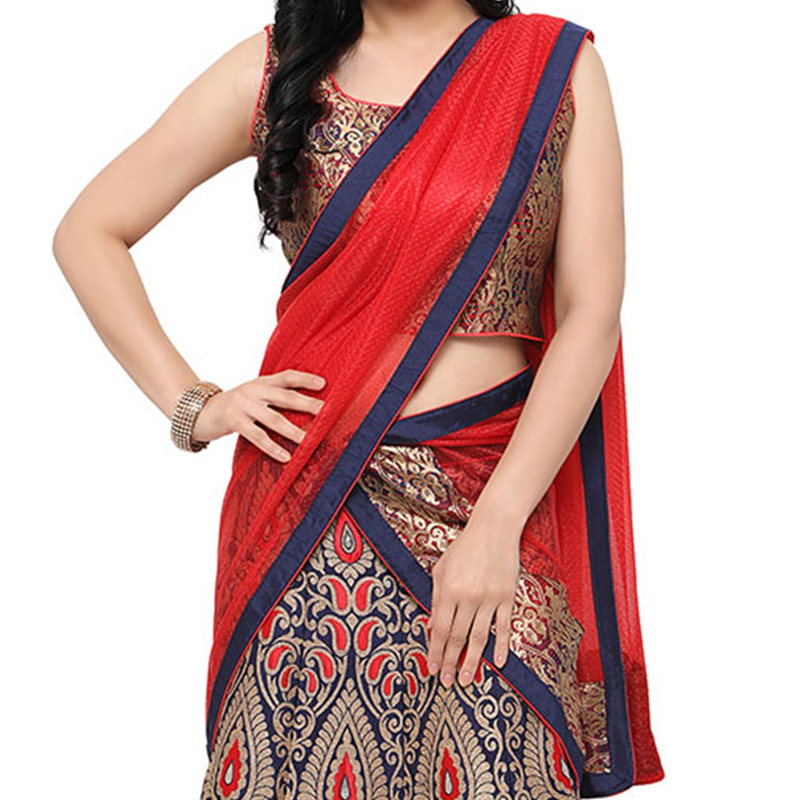 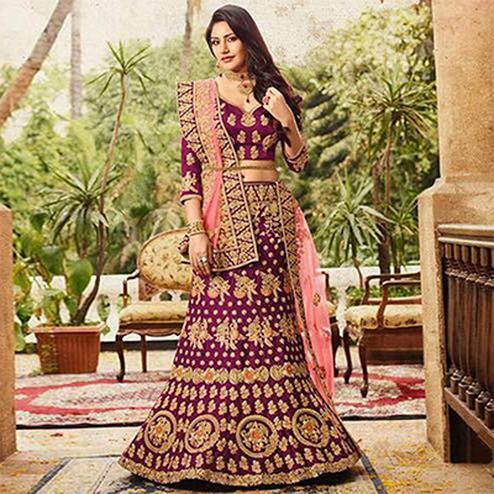 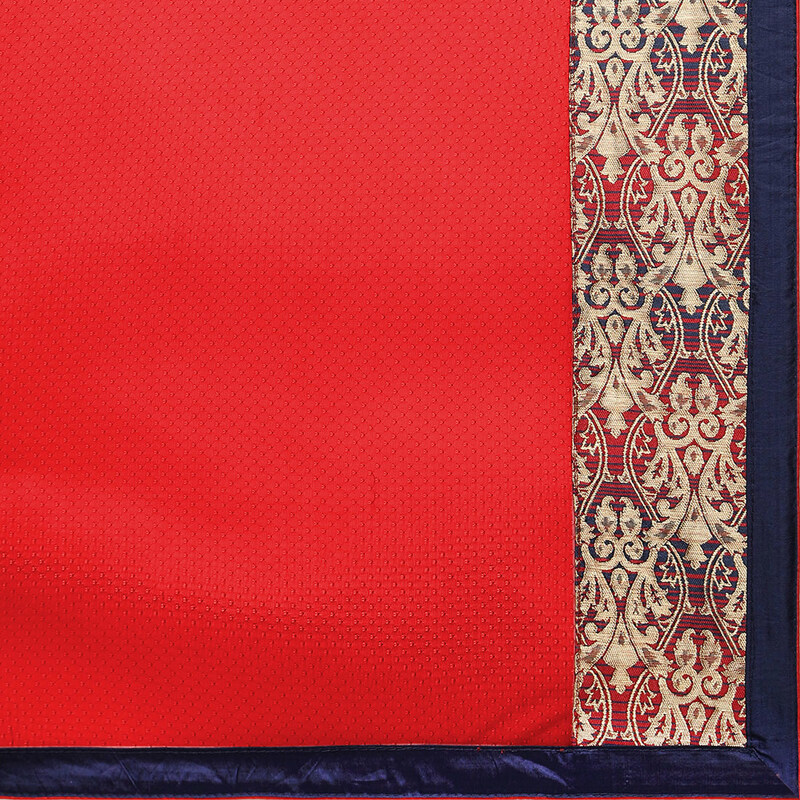 This ethnic piece made from quality fabrics gives the wearer a comfortable feel throughout the event. 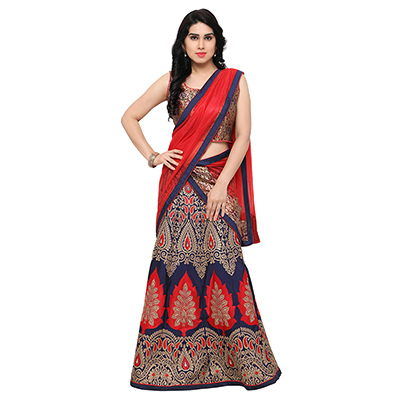 Perfect for traditional functions and festivals.